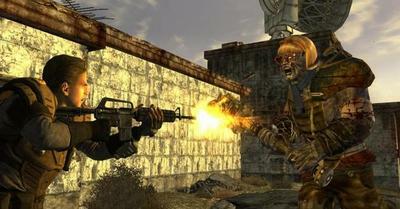 Set in a post-apocalyptic nuclear wasteland, Bethesda’s iconic Fallout franchise has been praised for giving players complete freedom and addictive game mechanics. The most recent installment in the series, Fallout: New Vegas, was well-received by critics, but was deplored for its bugs and glitches. Alongside innumerable fixes to many of the issues, Bethesda has announced three packs of downloadable content (DLC), each costing $9.99 or 800 Microsoft Points. Available on May 17, the first new piece of DLC for the game, entitled Honest Hearts, will take players on an expedition to the wilderness of Utah’s Zion National Park. After briefly exploring the area, the player’s caravan is ambushed by a tribal raiding band. As players attempt to find their way back to the Mojave Desert of the campaign, one will find that they become embroiled in a war between a new Canaanite missionary and the mysterious Burned Man. The decisions that players decide to make will ultimately affect the fate of Zion. This chapter of downloadable content corresponds with rumors that began circulating the Internet last month. An image featuring the text “The Burned Man Walks” etched on a wall was released by one of the designers of the game. After releasing the teaser image, the game’s lead designer tweeted that the ghost of Joshua Graham would somehow be involved in the title. In the game’s mythology, Graham was a Mormon missionary and leader of one of Caesar’s legions. Having lost the First Battle of Hoover Dam, his execution was ordered, and Graham was incinerated and tossed into the Grand Canyon. Old World Blues, the second piece of downloadable content set for the summer, is penned in for a June release. Players will discover how some of the Mojave’s mutated beasts came to be when they become lab rats in a science experiment gone awry. Forced to scour the research centers of the Big Empty in search of technology to turn the tables against your kidnappers, one will find that an even greater threat looms in the distance. Slated for a July release, Lonesome Road brings the courier’s story full circle as players are contacted by the original Courier Six, a man by the name of Ulysses who refused to deliver the chip at the beginning of New Vegas. In order that you know why he would do such a thing, he leads you to the canyons of the Divide, a landscape torn apart by natural disasters. The road to the Divide is treacherous, and few have ever returned. 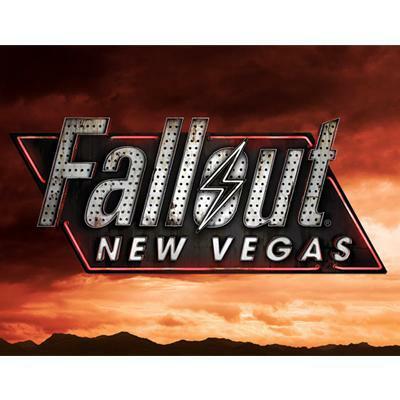 Fallout: New Vegas achieved modest sales initially with even fewer adopting the game’s first pack of downloadable content, Dead Money. Riddled with the same glitches as the original campaign, many did not find the setting or story to be attractive for the price. One can only hope that these new pieces of content deliver a polished experience that take advantage of the franchise’s mythology and ethos. What do you, fellow gamers, think of Bethesda’s newest chapters of DLC? Do you want to see more of Fallout: New Vegas? Sound off in the comments below.